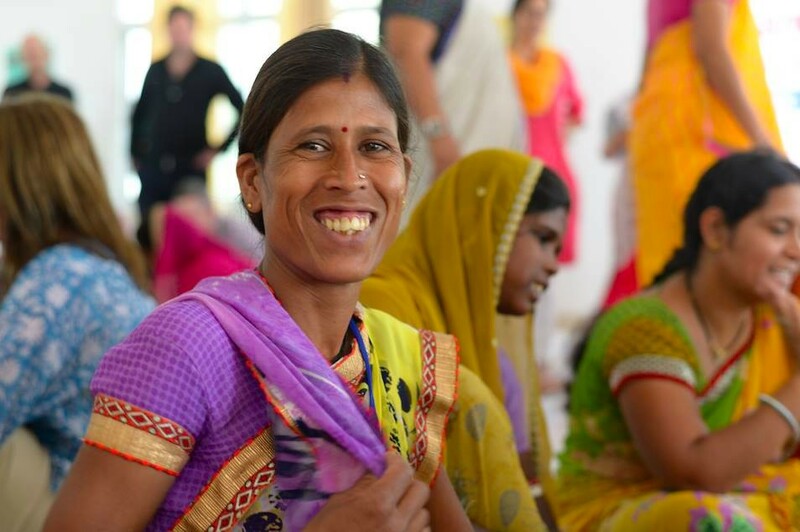 This is Rukmani, oppressed and discriminated against for most of her life through no other reason than being born a women into a system she now works to overcome. She holds a position of power, being elected as a Sarpunch (head) of her Panchayat (village). This quiet thinker and elected leader turned up to her first village council meetings and was made to sit on the dirt floor even though the others sat on chairs. Your investment in The Hunger Project goes to empowering people like Rukmani to break the cycle of poverty and be leaders for the end of hunger in their communities.